The following comments about attractions in Rhodes have been posted from individuals. We believe that the best reviews of Rhodes, Greece are written by travellers and holiday makers who have experienced Rhodes first hand and want to share their thoughts. Can you share yours? 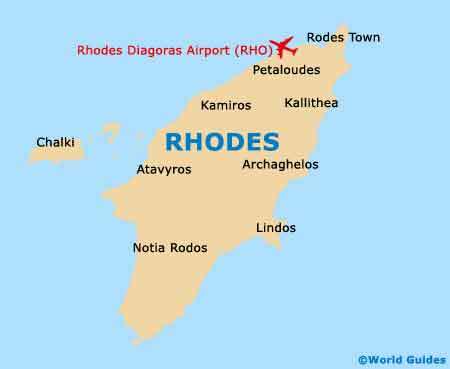 Please help us expand this section of our Rhodes World Guide. Let us know what you think about the attractions in Rhodes, Greece. Submit comments about Rhodes attractions here. Actually it's a knights hospital, mate. Did you get to see the marble Aphrodite Bathings statue? Hope you did! I almost forgot I was in Greece - one of the most historical countries on the planet - while in Rhodes given the sun, sea, and sand vibe but would now be kicking myself if I had passed up an opportunity to visit the Archaeological Museum of Rhodes in Rhodes Town. This is without a doubt the best restored building from when the knights ran the show and is an old house they used to rest at. Oh, chance would be a fine thing, wouldn't it? I'd love to know where you were shopping though. It's still lovely, but we felt like some of the prices had jumped up tremendously since the last time we visited. What that's down to I'm not sure. Lindos was epic yet at the same time seemed completely peaceful and content regardless of its eventful history. I could see myself retiring here one day. Would be great even without the ancient ruins and various other historic sites it has. So cheap as well. Rhodes has plenty of them and it had me awake at night trying to pick my favourite once I got back to England. St. Pauls Bay is of course the most obvious choice, and where I first went for a friend's wedding, but Tsambika, Faliraki, and Pefkos are all worth a shout. Try and get accommodation as near as possible to these if you can though, or you will run up quite a bill just getting to and from in taxis!